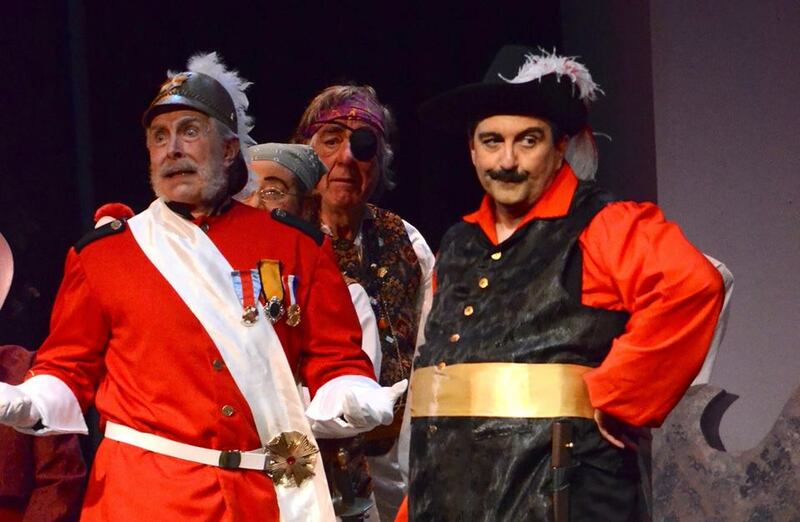 In February, 2018, the Gilbert & Sullivan Society of Maine (GSSME) celebrated 41 consecutive years of live performances with HMS Pinafore, and a unique and original production of A Gilbert & Sullivan Gala. In this, our 42th season, we will be performing Iolanthe or The Peer and The Peri. In 1976, Harris Strong and Elizabeth “Betty” Beatty founded the Gilbert & Sullivan Society of Hancock County (GSSHC). Both were mad for Gilbert & Sullivan operettas, and The Grand Auditorium had been renovated recently (by another Harris Strong organization, the Hancock County Auditorium Associates). It was a perfect match! Betty organized the first live orchestra to accompany live theater productions in the area, a tradition we have continued to this day. GSSHC produced The Gondoliers in 1977, directed by Alex and Vicky Cook, with musical direction by Betty. Principal roles were played by Georgia Beatty (now Dede Johnson), Beth DeMeyer, Ruth Greenwood, Hank Griffin, Sally Reynolds, Ed Schneider, Rick Strober, Harris Strong, and John Van Pelt. Trial By Jury was performed two years later, along with HMS Pinafore. The number of performers has waxed and waned, peaking in 1995 and 1996 after GSSHC was awarded First Prize for its performance of Utopia, Ltd. at the first-ever International Gilbert & Sullivan Festival in Buxton, England in 1994. To say that the English Gilbert & Sullivan companies competing in the Festival were surprised is a bit of an understatement! Since then, the song This Ceremonial, Our Wish Displays (Eagle High) has become the company’s personal anthem. To mark the occasion of 35 successful years, we wanted to do something remarkable: create a unique production featuring the entire G&S canon. And thus, A Gilbert & Sullivan Musicale was born. John Haskell and Dede Johnson put their musical and theatrical heads together, collaborated with Fran Vogt and Bronwyn Kortge, and devised an exuberant, touching, hilarious, beautiful extravaganza. The evening contained not one word of dialogue; both halves of the production were non-stop singing and dancing! And the “patter song mash-up”, written by John Haskell and performed by Roland Dubé was one-of-a-kind, never to be repeated. 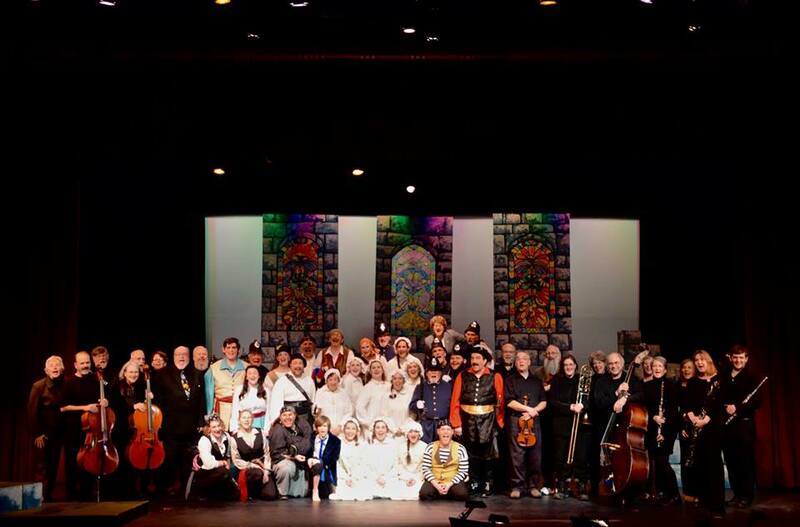 We hope you enjoy our productions, and that you will continue to support live theater and the Gilbert & Sullivan Society of Maine by attending performances; introducing friends to these wonderful, entertaining shows; and by donating generously to help defray the significant expenses of staging such a production.